B. Halpern asks: 0 degrees Celsius is the freezing point of water. So what is 0 degrees Fahrenheit? Who came up with Celsius and Fahrenheit? Engineer, physicist and glass blower, Fahrenheit (1686-1736) decided to create a temperature scale based upon three fixed temperature points – that of freezing water, human body temperature, and the coldest point that he could repeatably cool a solution of water, ice and a kind of salt, ammonium chloride. It is generally thought he chose these three points based on an older temperature scale created by Ole Christensen Rømer (1644-1710) 20 years earlier. Under Rømer’s system, brine (the salt-/ice- water mixture) freezes at 0°, water at 7.5°, normal human body temperature was 22.5° and water’s boiling point was 60°. Desiring to make calculations easier (i.e., produce fewer fractions), and to increase the precision of the scale by increasing the number of distinguishable parts within it (granularity), Fahrenheit decided to multiply each value by a factor of about 4, and set to work. According to his published article on the subject, he started with the brine and a blank thermometer; he then assigned the point where the thermometer was the lowest as 0°F. Next, he placed the thermometer in still water just as ice was beginning to form, and eventually assigned this 32°F. He then measured human body temperature and assigned this 96°F. He ultimately chose these two numbers, as opposed to 30°F (7.5*4) and 90°F (22.5*4) in no small part due to the fact that the 64 degrees between the two points made marking lines on the thermometer easier (due to the six equal intervals). As for the Celsius temperature scale, it has been around for almost as long as Fahrenheit, but it wasn’t nearly as widely used as today until the conversion of most of the world to the metric system in the 1960s and 1970s. Anders Celsius (1701-1744) was also a physicist, as well as an astronomer and mathematician. Interested in atmospheric sciences, in 1742 Celsius published his finding that the freezing point of water was independent of latitude (something previously debated); he also developed a consistent method of calculating the boiling point of water as barometric pressure changes. To accommodate his findings, bring even more rationality to measuring temperature, and avoid negative numbers, Celsius designed his own temperature scale, and assigned 100°C as the freezing point of water and 0°C as its boiling point at sea level (and no, that’s not a typo). Celsius’ colleague from Uppsala University, Carl Linnaeus (of the famous taxonomy) is reputed to be responsible for reversing the numbers. Specifically, in the 1730s, Linnaeus built an orangery (a kind of conservatory originally erected to grow citrus fruits) in Uppsala. In order to maintain the proper temperature for his exotic plants, he needed an accurate thermometer, which he ordered from the Swedish instrument maker, Daniel Ekström. It was delivered in December of 1745, and in a contemporaneous publication, Linnaeus noted that “our thermometer shows 0 (zero) at the point where water freezes and 100 degrees at the boiling-point of water.” As this is the earliest record of having switched the degrees to the modern form, Linnaeus is often given credit for the idea. 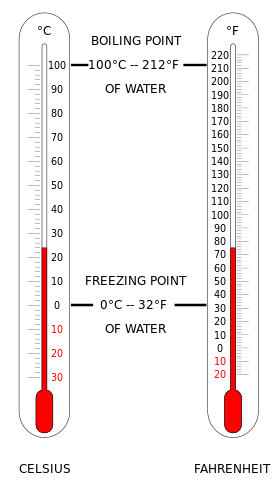 Up until the latter half of the 20th century, it was much more common to say “centigrade” rather than “Celsius,” with centigrade deriving from the Latin “centum” (100) and “gradus” (steps)- “100 steps.” This officially switched in 1948 partially due to confusion between many other uses of “centigrade” in various languages, such as French where it is used as a name for a unit of angular measurement. However, many did not immediately switch to using “Celsius” right away. For instance, the BBC continued to use “centigrade” all the way up into the mid-1980s on their weather reports, before finally relenting and going with Celsius. Why isn’t 0F the lowest possible temperature for a salt/ice/water mixture? Well, to be pedantic, Celsius and centigrades are not exactly the same scale, although very similar at usual temperatures (and relative to the precision of day to day thermometers, can be considered the same). Yet, the centigrade use the freezing point and boiling point of water as 0 and 100, while the Celsius scale use the triple point of water as 0.01°C and the unit is the same as that of Kelvin. For the kings of pedantic… or queens of pedantic. 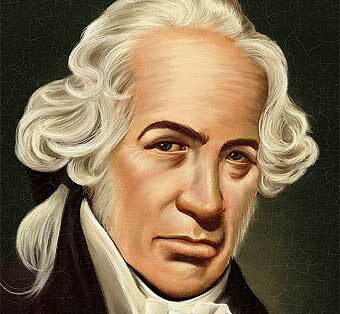 Most references to Daniel Fahrenheit refer to him as a German not a Dutch scientist / inventor / physicist. By most references… I mean all I’ve seen apart from the article above. From the article, Rømer’s system puts water freezing point at 7.5, and boiling at 60. However, the article also says human body temperature was put at 22.5. On a 7.5 freezing to 60 boiling scale, 22.5 would equivalent to 28.57 C, or 83.43 F. I’m curious as to how, if they were able to so accurately and repeatedly measure freezing and boiling temperatures back then, they were so far off on the human body temperature measurement.